Several segment leaders across different industries made headlines for “flexing” their traditional business models to seize market opportunities and address operating challenges. These nimble businesses reimagined how, when and where work could be done. In the process, they showed that work flexibility is much more than an HR perk, digital app or workspace redesign. 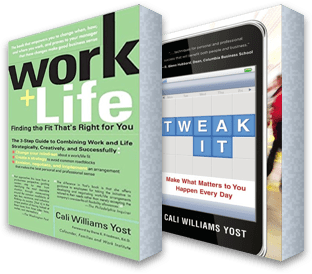 Instead these savvy businesses used work flexibility as a powerful strategy to respond rapidly and creatively to market shifts. CVS noticed two trends. First, a large percentage of their older customers in colder regions migrated south for the winter. The challenge then became how to temporarily staff up stores in the south and skinny down in the north to match those customer shifts. They also noticed that older pharmacy staff were either retiring to join the winter migration south or would be open to the opportunity. Solution: The company decided to allow interested CVS employees from the north to temporarily relocate and transfer to a store in the south during the winter. The result: CVS retains and relocates experienced talent to match regional shifts in their customer base. Esquire Deposition Solutions also faced two related challenges–increased demand for reporters across the court system, and a shortage of court reporters to meet that demand. A talent gap that is projected to worsen with a workforce averaging 55 years old. In response, Esquire Deposition Solutions “flexed” their traditional business model to no longer require court reporters to be physically present in the courtroom at all times. It now allows certified stenographers “who have been trained in remote court reporting by Esquire” to work in one of the company’s 35 U.S. offices instead. They will have shorter commutes and the ability to process a variety of depositions a day, depending on the legal matter’s length and complexity. Not only does this shift address the mismatch between the supply of and demand for court reporters, but advocates see potential gains in productivity and ongoing technological innovation. In response, Shake Shack decided to “flex” their five-day, 40-hour workweek business model and pilot a four-day, 40-hour workweek to attract and retain general managers with three to five years of experience. That’s true for any flexible work transformation, including those above. Success ultimately requires a realignment of all aspects of an organization including culture, work processes, policies, workforce, workspace, technology, and operations. Assuming that happens, these companies will set an example for others to follow. When businesses reimagine how, when and where work can be done, not only do they respond more nimbly to market opportunities and challenges, but they give their people what they want, which is a win for all. What are some other examples of businesses “flexing” their traditional business models?